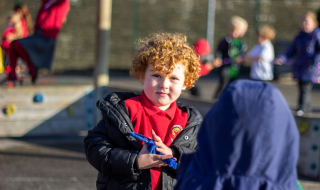 At Oxenhope Church of England Primary, we offer a wide variety of extra-curricular which your child may be able to join. The clubs run on a yearly, termly or half-termly basis with recruitment drives at various points in the year. They are run by staff members, parents or external providers, who have all had the relevant legal checks. Information about clubs will be via the school app, email or letter depending on your preferences. Clubs are advertised to all children and where barriers to children participating exist we try to overcome these by providing alternative solutions: For the full policy please refer to the policy section of our website. If your child qualifies or has previously qualified for Free School Meals then they fall into our Pupil Premium category. If we as a school feel that a certain extra-curricular club may benefit your child then some of their pupil premium funding will go towards funding their place on the club.